Modern life, it seems, may bring to us at times, more than our share of tragedies. A person who has suffered and endured what I consider the most painful such loss in recent memory, is Dr. Craige Deeds Ph.D., a clinical psychologist in Virginia. He is also a Virginia state legislator who has dedicated himself more than ever, to the cause of reforming and improving mental health care delivery in Virginia. He lost his son in 2013 when his then schizophrenic son, committed suicide after trying to stab his father Dr. Deeds. Dr. Deeds had endeavored to hospitalize his son after that incident but somehow in the whole state, there were no beds for his sons, a circumstance I cast a very skeptical eye upon, with my own suspicions as to why none could be found at all. His son was treated for four days with medications in an ER and then had to be released when he had calmed and was no longer deemed dangerous. Four days later, he suicided. Dr. Deeds faced this tragedy and turned his tragedy and sorrow into something positive which is about the only thing one can do. He redoubled his previous efforts in mental health legislation and singlehandedly almost has nudged the state of Virginia into enacting and putting into place several well thought out reforms, changes and additions to the state’s public mental health system. The first reform was a long needed statewide registry database of open psychiatric beds. This enabled mental health professionals and law enforcement officials and courts to place quickly acutely ill persons needing urgent inpatient psychiatric care, into hospital beds. One radical aspect of this law and change was that private psychiatric beds were mandated to be included. This prevented private psychiatric units from refusing involuntarily committed patients or unruly persons from being rejected out of hand for admission. 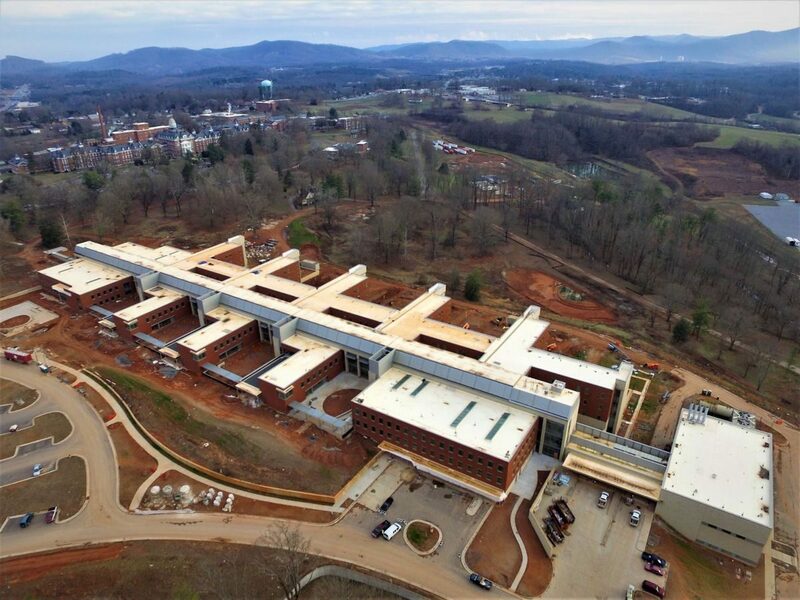 Dr. (State Senator for his second title) Deeds has labored mightily to take one broad, large, unwieldy state-wide system issue in Virginia’s broken system of public mental health services delivery after another. It can be easily said that he has done what no one else has done, and accomplished as a result of these efforts, more than any other single person in this country. I regard him personally with utmost respect as our present modern day personification of the great reformer, Dorothea Dix. One of the things that Dr. Deeds has done, has been to cross the political aisles in his state. He has brought the two feuding political parties together in a common effort and fashioned a new alliance that has passed a set of legislative advances for over 3 years since his efforts began to take off in 2014. Through the wonders of my trusty Google Search Bots, I was made aware of a book published by a regional university press. Upon linking to the press release for this book, I realized that in another less totally “connected” world in my past lifetime, I would have never known of this literary gem. This book, as fascinating and scholarly as it is, appealing to my personal historical interests and professional psychiatric mental health reform history, likely will have an undeserved narrow readership. But in my own literary zeal, I hope to support this author’s superb scholarship efforts in this field by calling attention to her wonderful book and read. 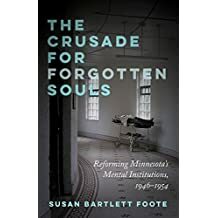 The book I am speaking of is “The Crusade for Forgotten Souls: Reforming Minnesota’s Mental Institutions, 1946-1954,” by Susan Bartlett Foote. This book is published by the University of Minne- otaPress, Minneapolis, MN, 20108. There exist dozens of books in print on the history of mental health reform, state hospitals, asylums, and so on. Additionally, there are many out of print books to be had by the student of mental health reform, thanks to the incredible networked of bookshops and sellers on the Internet. I have long been a student and collector (to my wife’s everlasting anti-hoarding tendencies) of antique and historical tomes on psychiatry, mental health, and psychoanalysis. In past decades when I first had my interest kindled in this scholarly effort by two mentors. These two far-sighted supervisors and teachers cultivated the awareness in me that many surprising answers and relevant insights could be gleaned from the acquaintance of the historical efforts of predecessors in our field and any area of human endeavor and understanding for that manner. To fuel my collecting and voracious reading appetite, I relied on one publishing and book reseller business in New York City (natch, where else?) as the only source for my dogged blood hound collector impulses. That business still exists, but sadly I utilized them far less often as their range of books seems narrow to me these days. But they still “cover” the field of psychiatric writers that I can find nowhere else so my loyalty to them persist. This book serves as a scholarly, historical prod to this reader of mental health reform history because it is a unique book. It is not dry documentation of events as some books in this arena can be. Any area of historical review and retelling for a contemporary audience runs the high risk of taking the easy route of simply cataloging events. At least some of the history textbooks of my youth were such tediously boring examples. Like many youths of that era, I could not understand why anyone would want to study history. What saved me was experiencing the teaching of history of other countries and cultures in schools overseas. I was awakened to the rich stories of the Middle East and of the British Empire in different schools. I returned to the US at the end of my high school years and dove into America political history in the only history course before university studies that hooked me. I focused on two area, the Civil War and the formation of the American system of government in the Revolutionary period. These interests prepared me for looking at my profession of psychiatry in a historical manner that afforded me a much deeper appreciation for even the most routine daily efforts in my work with patients and systems. One of the first lessons that are highlighted in Ms. Foote’s book is the lost refrain that mental reform is not a new current of our time. Every generation of reformers seems to suffer initially from the realization that their efforts often have been duplicated in past eras. The helpful grace of this intellect and psyche warming circumstance is that any contemporaneous effort can be buttressed by learning from the directions of past efforts and their successes and failures. Another lesson that is more sobering is that past reforms led to acclaimed successes that were much celebrated. Politicians, reformers, and those who implemented the changes bourne out of the results of the reforms felt early on that changes they had all worked so hard to accomplish would go a long way toward solving the problems that initiated the zeal of reform. But the efforts did not lead to lasting change. In the state mental hospital orbits, reality overtook even the best of intentions. Ms. Foote weaves a masterful story of a period of years in the pre-deinstitutionalization era, up to the early 1950’s. This makes for a truly engaging and fascinating read. Many different tides of motivations and ideologies are described. They range from social reformers of the 1800’s such as national figures like Dorothea Dix to a more intimate portrayal of local Minnesotan figures that were unknown to me. One of the other historical tributaries for the unique critical mass reached in Minnesota in the post-WWII years, was that of the singular religious community in the state, largely not existing elsewhere in this country except for the Quaker communities who pioneered mental health reform as early as the 1700’s. One notable feature of Ms. Foote’s book helps stories of patients’ lives to come alive as few other books I have read. The second chapter has vignette life stories of several patients all ably researched from superb sources that the author read herself in unique local venues in Minnesota. Only one other book I have seen rivals this book as far as an unusual source of person based history which I find to be the most interesting kind…That other book with such storytelling power is “The Lives They Left Behind: Suitcases from a State Hospital Attic,” by writer by Darby Penney, psychiatrist-photographer Peter Stastny. This book resulted from the NY State mental health commission finding a treasure trove of patients’ suitcases after their admissions to one of the closed state hospitals. The authors wrote a book on the actual lives of the patients whose belongings they found. The authors found descendants living in venues in NY state and interviewed them learning more of their lives, filling in the details accordingly, making for an incredible read. The Mental Health Reform Blog Blog at WordPress.com.